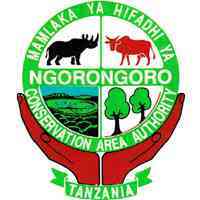 The Ngorongoro Conservation Area Authority (NCAA) released Practical Interview Results For Assistant Wildlife Management Officer II and Wildlife Management Assistant II Posts. NOTE: Applicants chosen to proceed with the ORAL INTERVIEW their schedule will remain as outlined in the preliminary announcement. KUCHEKI MATOKEO YOTE BONYEZA LINK HAPA CHINI | CLICK THE LINK BELOW TO DOWNLOAD RESULTS IN PDF FILE.